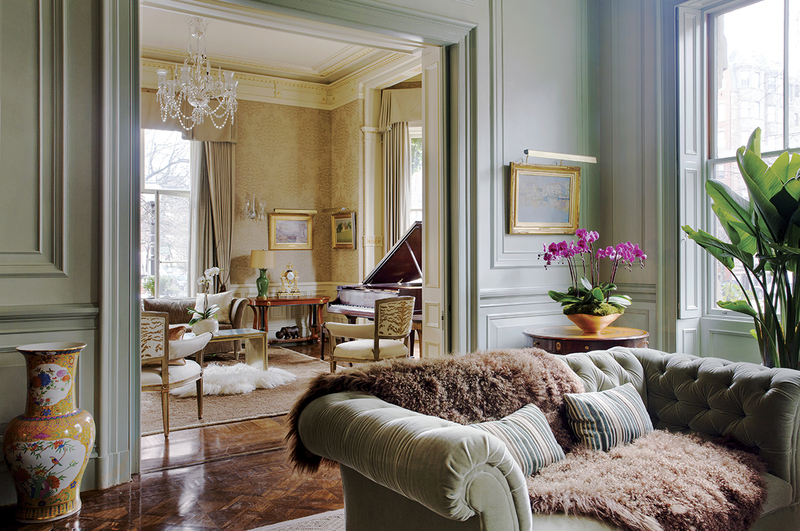 A neglected Back Bay mansion gets a new lease on life. By Loren Savini·	 6/3/2014, 4:45 a.m.
Boston-based actress Christy Scott Cashman and her husband, construction mogul Jay Cashman, live a glamorous Hollywood-esque life, frequently hosting fundraisers, salons, and film premieres. Christy herself has appeared in movies like American Hustle and The Love Guide, and was a producer of the indie flick The Kids Are All Right. That all this California-chic living happens in a towering Back Bay Victorian may come as a bit of a surprise. In fact, Jay had long admired the manse from afar while he and Christy were dating in the ’90s. Built in the late 1800s by the renowned architect Charles Brigham, the 13,000-square-foot home boasted a classic mansard roof and an ornamented cornice. Its imposing street presence appealed to Jay, as did the allure of living on a corner in a freestanding home in the middle of Boston. When the opulent house finally went on the market in 1997, Jay bought it for $2.4 million. 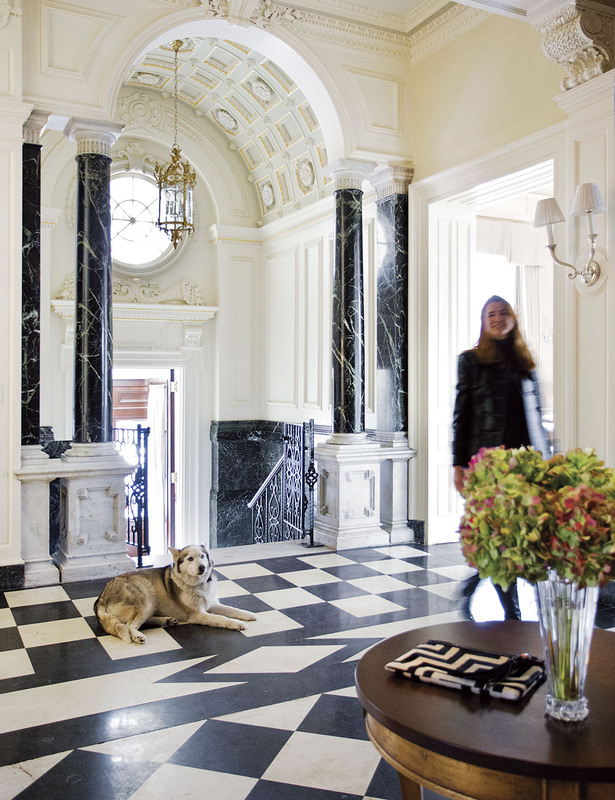 Christy makes a grand entrance from Dartmouth Street into her home’s foyer, which boasts original Italian marble floors and columns. Unfortunately, the palatial exterior belied a neglected and abused interior. The building had changed hands several times over the years; most recently it had been converted into a clinic and daycare center in 1952. 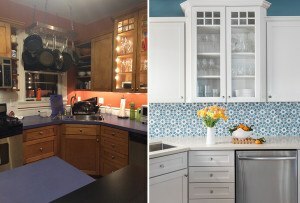 At first, Christy tried to do the interiors on her own, but soon found it difficult to honor the past while creating a contemporary living space. “I was so young and inexperienced in design that I really didn’t know what I liked,” she says. “I decorated the way I thought a home like this should be decorated— antiques and Oriental rugs.” Eventually, she found herself getting weighed down by the home’s Victorian aesthetic—a look that didn’t necessarily match her personality or lifestyle—and decided to seek professional advice. 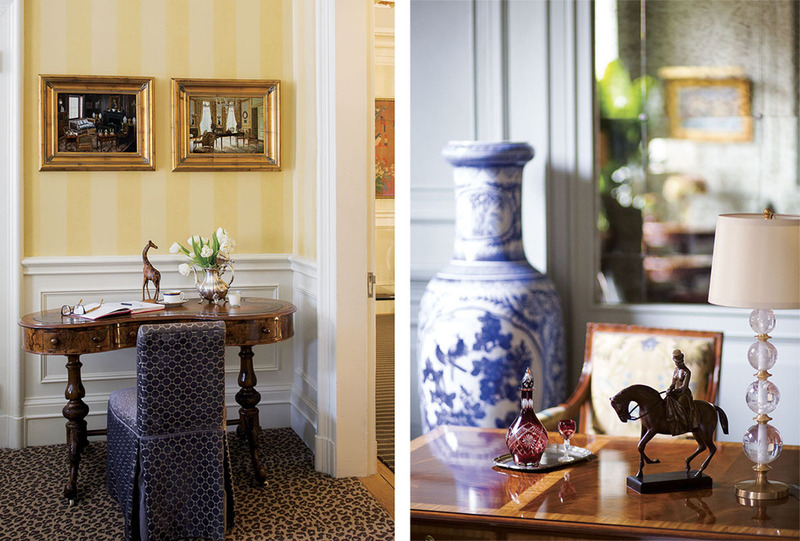 Friends of the family had been raving about their interior designer, Lisa Davis. “Once I met her, it was obvious that she was talented and, most important, fun to work with,” Cashman says. A trendy leopard-print rug imparts modern flair to a traditional third-floor guest room; a mercury-glass paneled mirror adds Parisian glamour to Christy’s workspace. Davis agrees that Christy and the décor of the house were a mismatch. “I couldn’t believe she lived there,” Davis says. “It wasn’t a reflection of who she was. I saw her as 1940s glamour—so that’s what we went with. 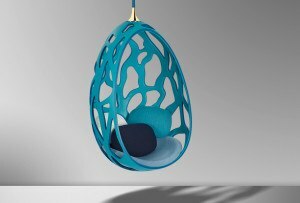 It needed to still be traditional for Jay, but glamorous for her.” Davis took inventory of all the impressive pieces that could work in the interior, noting which could use a facelift. “We started with what we could keep. Christy had this amazing mohair Chesterfield sofa, and it was perfect. 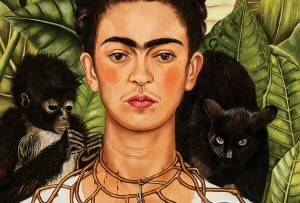 No need to replace it,” Davis says. Of course, some things needed to go—like a heavy maroon tapestry that Davis swapped out in favor of large paneled mirrors. 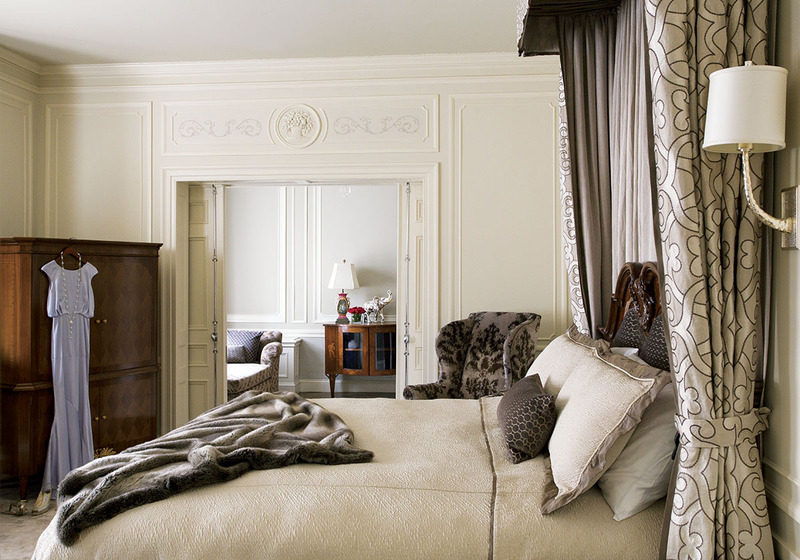 Mirroring the home’s traditional design, Davis chose calm, neutral colors for the master bedroom. Another challenge for Davis was reconciling the home’s formal layout with the lifestyle of the Cashman clan—two young sons, four dogs, and a collection of reptiles. 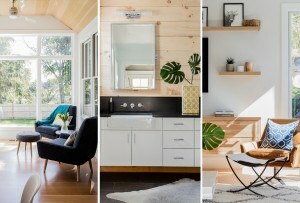 The designer also had to make sure the space was equipped for entertaining. “Sometimes it seems like Grand Central Station around here, but mostly it feels like home,” Christy says, describing the couple’s penchant for social gatherings. 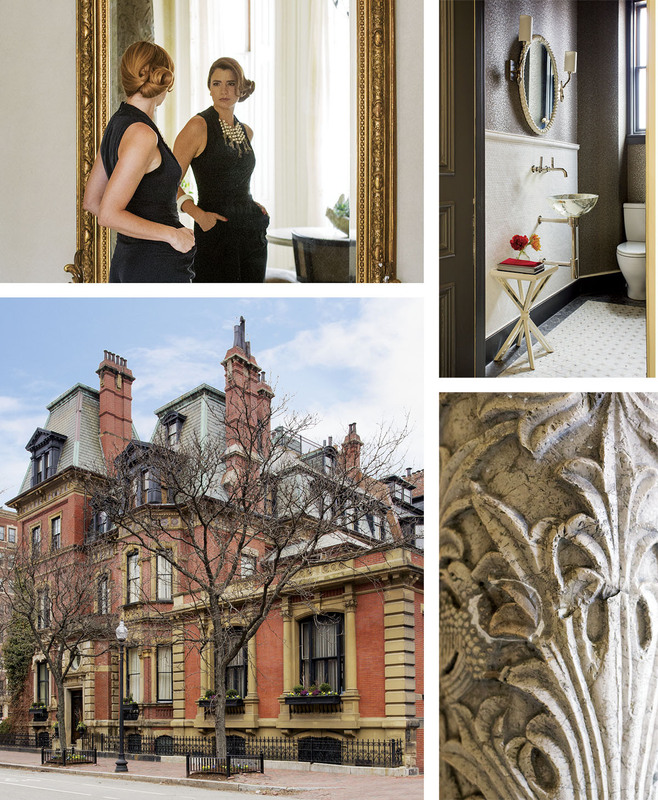 Christy poses in front of the entryway’s dramatic mirror; the glittering hall bathroom; original stone carvings are found on the regal columns in the tea room; the exterior of the home features a classic mansard roof and an ornamented cornice. To strike the proper balance between the beauty of the original architecture and the needs of the family, Davis worked with a pared-down color palette inspired by Farrow & Ball’s “Pigeon.” Explains Davis, “It still made the home look modern, but it was calm and quiet, so it didn’t overwhelm the architecture,” adding that too many dark, dramatic colors would have taken the focus off the beauty that was already in the bones of the house. 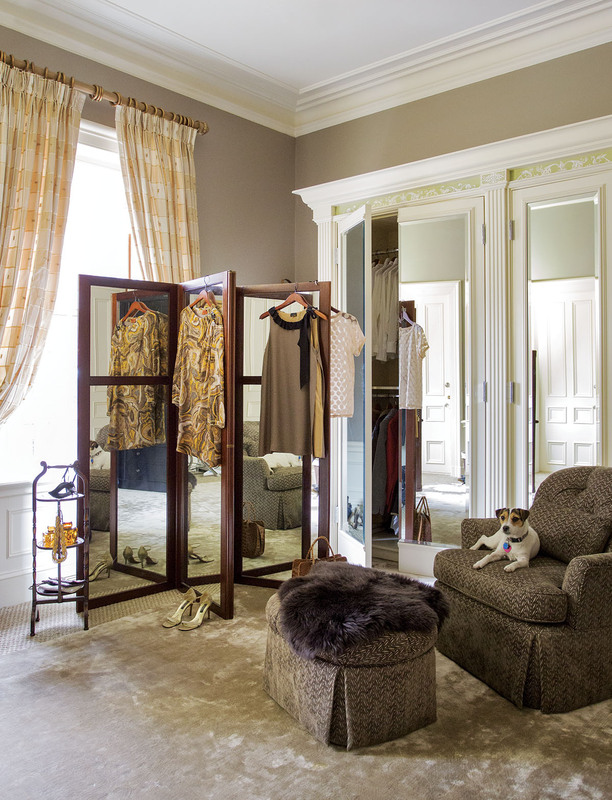 Christy’s Jack Russell terrier, Lucy, lounges in the spacious dressing room. 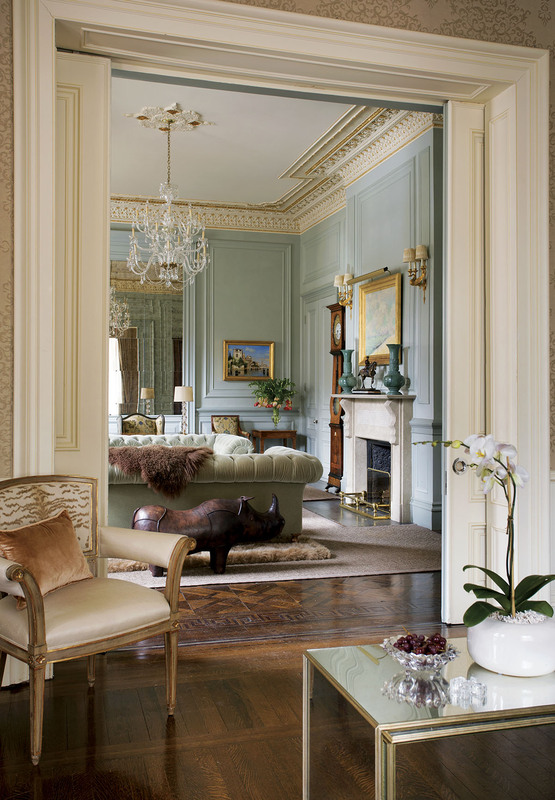 Davis created additional glamour by installing mirrored paneling on the walls in the “ballroom,” which serves as both Christy’s office and the couple’s entertaining space. She also incorporated feminine details, like plush sheepskin throws and crystal lighting fixtures, but kept it traditional by using subtle colors and fabrics like silk and velvet. 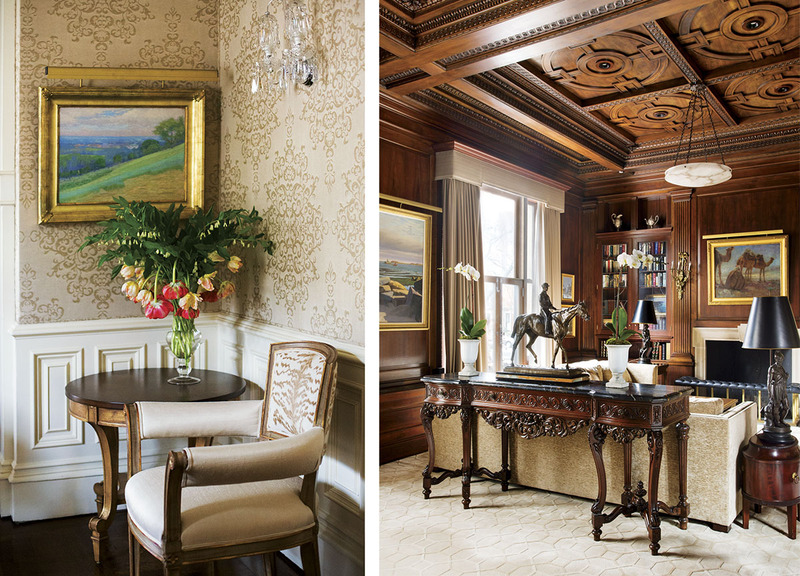 A seating area features a gold-damask wall covering and a stunning crystal sconce; classic paintings adorn the walls in Jay’s library, which boasts walnut tray ceilings. Perhaps the most Hollywood-esque space is Christy’s dressing room, which Davis outfitted with 48 custom-made wardrobes for her clothes. 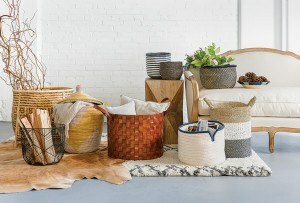 But the designer’s proudest achievement was the floor covering: Silk-pile carpet is smartly inset with a sisal border, allowing for a soft, luxurious rug without the threat of tripping on different levels of carpeting. The Cashman home now has the best of both worlds—unscathed classic architecture and shadowy drama paired with a light, elegant interior that ensures the family isn’t constricted by heavy Victorian design. Their glittering social events have a picturesque venue, and Christy finally feels at home. Another view of Christy’s office.